AEP Texas expands its smart metering program to its rural territory. Landis+Gyr extended its contract with AEP Texas on Monday, providing an additional 280,000 meters, bringing the full deployment to about one million smart meters. The utility has already deployed more than 500,000 meters as part of its original contract with Landis+Gyr for 720,000 meters. The additional automated metering infrastructure will go in the rural parts of AEP Texas’ territory. 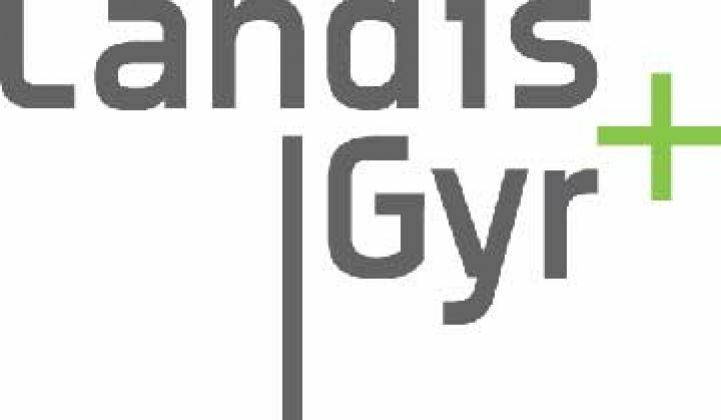 "The proven success of the Gridstream RF mesh network in rural applications had a big influence on this contract extension," Prasanna Venkatesan, Senior Vice President of Systems and Services at Landis+Gyr, said in a statement. Toshiba purchased Landis+Gyr last year for $2.3 billion, in part so that the Japanese industrial giant could gain access to the U.S. smart meter market. A few hundred thousand meters might not seem like much compared to the millions of meters Landis+Gyr contracted for just a few years ago with CPS Energy and Oncor in Texas, but as the North American smart meter market slows down, smaller contracts are increasingly important for the large meter makers. For meter makers such as Landis+Gyr, having end-to-end smart metering offerings has become increasingly important. Earlier this year, Landis+Gyr acquired Ecologic Analytics, one of the largest independent meter data management firms. The Swiss smart metering giant acquired a minority stake in the company in 2007, and the two have been closely integrating their products for some time. Similarly, Siemens was a strategic investor in eMeter years before it bought the company. The focus on the rural portion of AEP Texas’ territory could also be beneficial as meter makers court the municipal and cooperative utility markets, the latter of which often include rural terrain. One of the reasons Toshiba purchased Landis+Gyr was for a stronger presence in North America, but most of the action in the coming years will be in Europe, where there will be 100 million smart meters deployed by 2017, according to GTM Research. In 2011, the French government announced plans for 35 million smart meters, and the U.K. has been aggressive about its metering goals. The U.K. government announced smart grid communications contracts worth up to $7.5 billion, which will connect more than 40 million dual smart meters. It looks like most of the contracts for smart grid communications in the U.K. will go to cellular companies, but a recent pilot announced between ScottishPower, Siemens and SmartReach, a smart metering consortium that includes Sensus, will cover 1,000 homes and leverage Sensus’ FlexNet communications system to connect to Siemens meters to prove out that long-rage radio can compete as well as cellular for the smart metering backhaul system. At stake is more than $7 billion in government contracts in the U.K.
Back in North America, Sensus has a 19 percent networked AMI market share, in third place behind Silver Spring Networks and Itron. Itron is the clear winner in networked AMI and AMR (automated meter reading) technology, with 46.6 million units in the field as of the first quarter of 2012. Landis+Gyr comes in second in that category with 23.4 million units. Although the North American market for electric smart meters is slowing, it is hardly coming to a screeching halt, as this recent contract illustrates. There will be 13.2 million smart meters shipped by the end of 2012, compared to 13.5 million in 2011 and 15.7 million in 2010, according to GTM Research. Current deployments could also produce data that will make it easier for utilities to craft their business cases for smart grid down the road. AEP Texas is just one part of AEP’s vast territory, which covers eleven states and 5 million users. A successful deployment of meters and Landis+Gyr’s Gridstream network could give the company a leg up in any future deployments that AEP plans.